I’m not going to lie to you. The moment I have a free second online (after, of course, paying bills and replying to loved ones and re-issuing my library books and ordering the new tax form thingy and all those very important things that always, ALWAYS, take priority) I hop on to Pinterest. 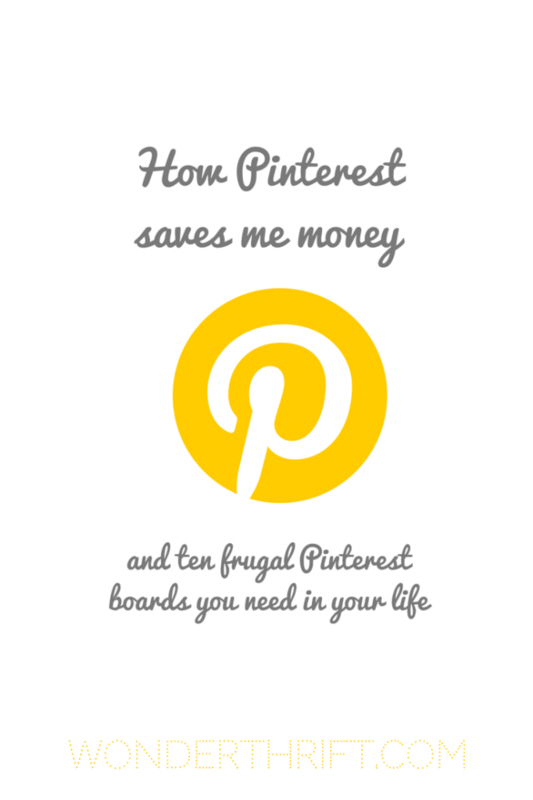 I used to love Pinterest, then I hated it – because I discovered that I wasn’t the original inventor of many of the things I thought I was- and now I love it again. Mostly I love it for the way it saves me money. Need a recipe involving one mouldy turnip and some paprika? Sorted. Need facepaint but can’t afford to handover a fiver for a pot? A DIY version found. Need inspo for some homemade furniture? Done. Want to make something but don’t want to pay out at the craft shop? P-I-N-T-E-R-E-S-T.
Click on through for my favourite boards for the way they inspire me, give me thrifty living tips and, most of all, remind me I am not alone in wanting to save our beautiful earth AND save money.